I’m heading out to Smith Rock in a few days for a two-week trip. 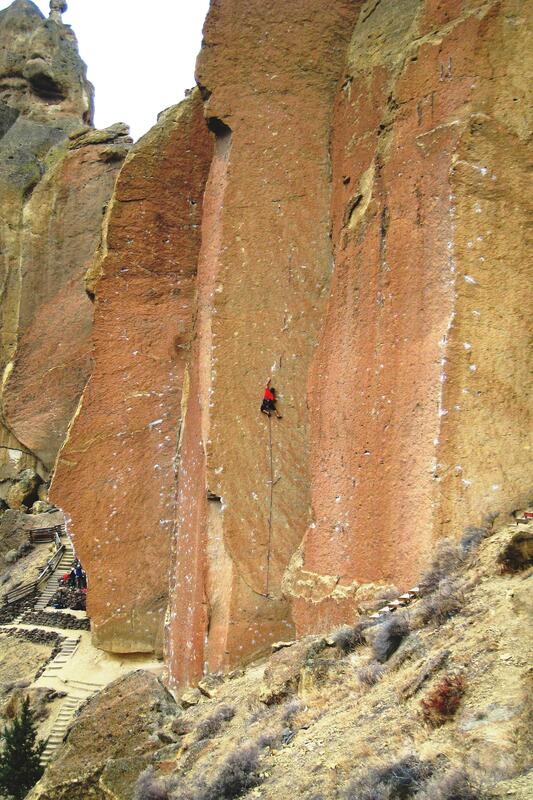 The climbing at Smith is extremely thin and technical — and difficult to prepare for. 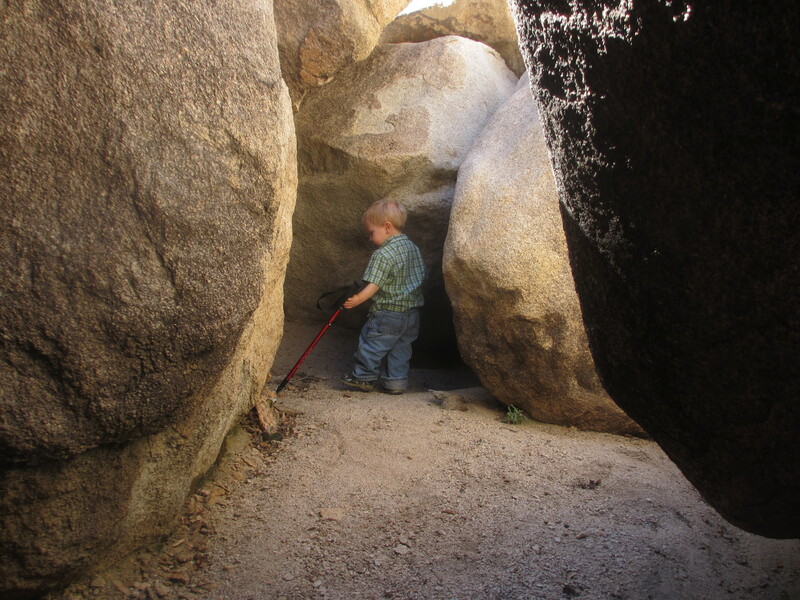 I believe strongly in taining and I generally feel that using indoor tools is superior to “just climbing” outside (for building strength, power, and endurance). That said, indoor training is far from ideal for developing or polishing technique. 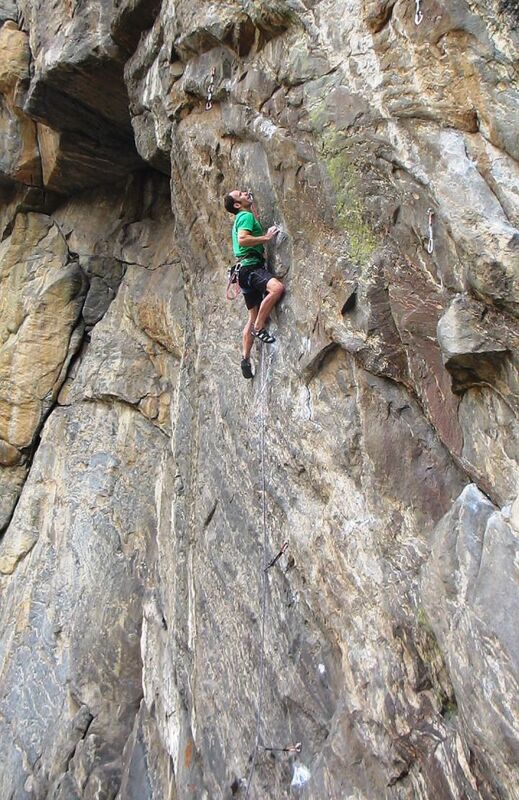 For highly technique-dependent climbing, like that at Smith, some amount of outdoor skill practice is essential. Outdoor training can also help prepare your finger skin if its done wisely (in moderation). In 2008 I spent two weeks at Smith working and sending To Bolt or Not To Be, perhaps the most technical single-pitch climb in America. My training strategy for that season was pretty unusual, but very effective. I lengthened my Base-Fitness Phase by adding more ARC workouts, and I ordered a bunch of really tiny crimps to add to the Lazy H. I did a standard Strength Phase (but I added a thin, closed-crimp grip to my hangboard routine). After 8 hangboard workouts I immediately transitioned to outdoor climbing 2 days per week (normally I would have a 2-4 week transition period of bouldering and/or campusing). I climbed in the Lazy H a third day each week, doing thin, power-endurance linked bouldering circuits. 1. Pick the right training routes, those that are as-similar-as-possible to the route you are training for, in terms of steepness, hold type, continuity, commitment, and length. 2. Accept that the purpose of each day’s cragging is to train for your goal, not to send! This may mean cutting sessions short to avoid trashing your finger skin, to avoid too much fatigue, or to squeeze in a bit of indoor training at the end of each crag day. In the pre-parenthood era of 2008 I had a lot more options, whereas now there are significant advantages to staying close to home. I decided the ideal training route this time around would be “Mission Overdirve”, a linkup of “Mission Impossible” and “Interstellar Overdrive” in Clear Creek Canyon. Mission Impossible was bolted by Jay Samuelson and immediately offered to the community as an open project. Dan Woods eventually came away with the FA, calling the line 5.14d and the hardest route he had ever climbed, even hard than Jaws II (5.15a at Rumney), opening with a V12 boulder, followed by pumpy climbing to a V11 finish. Entering the hardest bit of the low crux. Jonathan Siegrist actually tried the line first, but didn’t have time to commit to the full route. He established the Mission Overdrive link-up before heading overseas, calling the line 14a/b. This linkup climbs the opening “V12” boulder of MI before joining Interstellar (5.13d) for its notorious “V8” crux. The entire line is about 70 feet long and overhangs 10 feet. The first half is basically dead vertical, with super thin, slopey edges and invisible footholds. The climbing is super insecure and there are about 10 moves in a row where you can pop off at any point. The Interstellar crux is steeper, with very tiny crimps that are fortunately incut-enough to pull out on. The pivotal move is a huge lock-off from a half-pad crimp to reach a slopey finger slot. The route is perfect for me and a great training route for Smith. I first tried the route last Saturday. I was able to do all the moves on the lower crux but I couldn’t see how I was going to link all those moves, or even let go to clip. By the time I reached the top I was too worked to make any progress on the Interstellar crux. Then on the second go I shocked myself by climbing most of the way through the low crux, ultimately stymied by a precarious clip. At that point I knew the line was do-able and I was committed. I spent some more time on the upper crux, then headed home for a campus session. Nearing the end of the first crux. My next outdoor day was supposed to be the following Friday, but I couldn’t wait that long so I arranged for a short outdoor session on Monday evening followed by an indoor Power-Endurance session on Tuesday. Normally I would never climb two days in a row like that, so the key was to keep Monday’s effort short and minimize any wear on my skin. I did two 30-minute burns, with the goal of working out a viable clipping strategy for the low crux, and dialing the low-percentage upper crux, which comes with a substantial pump. I was able to achieve both goals, but at the end of the day there was still a 10-foot transition section that I hadn’t really worked out. The climbing is ~5.11+, easy enough to figure out on the fly, but just hard enough to get you pumped before the final boulder problem., so I wanted to have an efficient sequence worked out. Friday was a dedicated outdoor day, so I took my time with a thorough warmup. I climbed a rad .12b face climb at the Monkey House called The Reward. 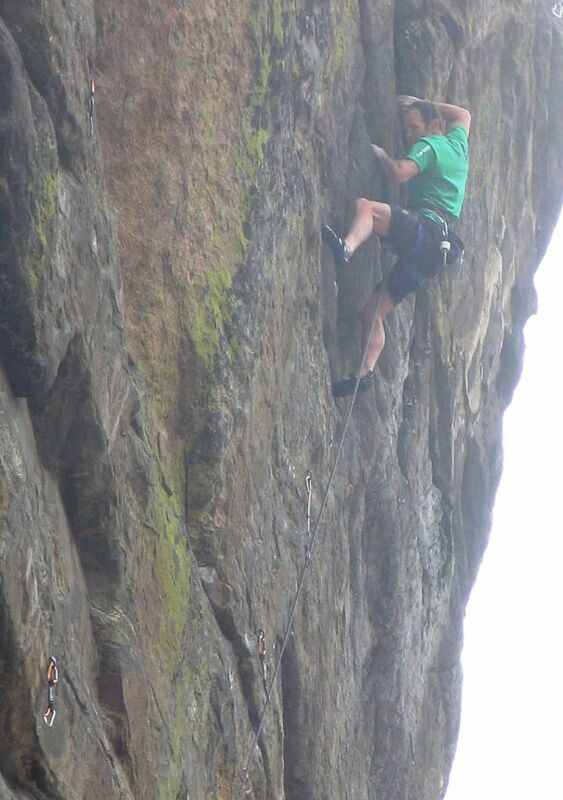 This is a brilliant thin edging climb with a committing crux. If only it were twice as long! My first burn on Mission Overdive, I sent most of the way through the low crux, but botched a foot sequence and pumped off. I took the opportunity to work out the 11+ transition section, but then I was unable to do the Interstellar crux. The move is very precise and requires the perferct coordination of all four limbs. You need to move just high enough to reach the hold; any higher and your low hand will pop off. The high hand has to slide perfectly into a narrow slot, requiring a precise deadpoint. Both “footholds” are miniscule, and must be weighted just enough to complete the move but not so much that your feet slide off. After a few tries I was able to find the right timing. Preparing to turn the roof. I took a 45-minute break, and then tried again. This time I recalled my sequence for the first crux perfectly. There are many subtle foot shifts, so that was not a trivial feat. I was pumped, but not overwhelmingly so. 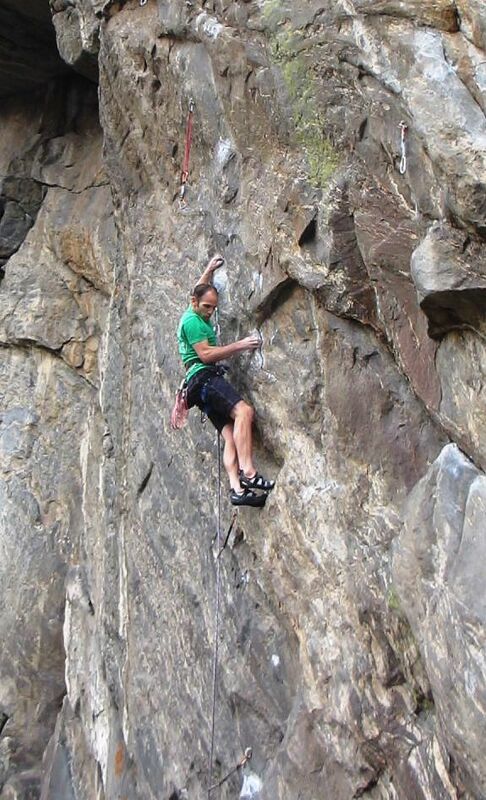 The low crux ends at a decent left handhold, allowing a clip and a brief shake. Next the route tackles an intimidating roof with a really cool highstep and dyno to reach an awesome rest. I was able to recover completely at this rest, then I cruised up the 5.11+ section. At the high crux I was notably pumped, but there is a so-so shake just below, and I took my time here and got back what I could. My forearms felt powered-down, but I reckoned I could still bear down for a few moves, so I went for it. When you hit each move just right, this crux almost feels easy, and you can understand how this could be called V8. I got the finger slot, then a few more slopey pods to reach damp jugs and the anchor. 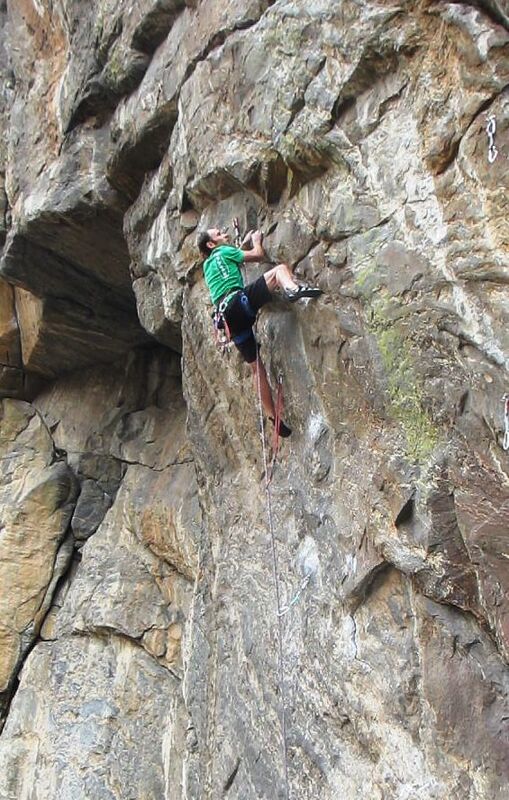 Overall the line is fantastic, hands-down my favorite route in Clear Creek Canyon. I’m really stoked to try the full Mission Impossible, but I think that will have to wait until I return from Smith. I’m not too sure about the grade; this is the fastest I’ve sent a 5.14, so based on that logic it seems unlikely that its 14b. On the other hand, I’m in great shape on paper, so who knows? I highly doubt the low crux is V12; I’ve never even tried an established V12, so I really have no clue, but I assume V12 is harder than that! I would say more like hard V10 or easy 11; and a realistic V9 for the Interstellar crux. The real challenge of the route is keeping it together over a large number of difficult sequences. The end of the Interstellar crux. I think it goes to show how strengths and weaknesses can affect grades. Ideally these factors should be accounted for when assigning a grade but its not simple to extrapolate and so these factors often have a big effect. There is a tendency to assume that certain climbers have an absolute understanding of the grade scale (Adam Ondra, for example) but it really doesn’t work that way. 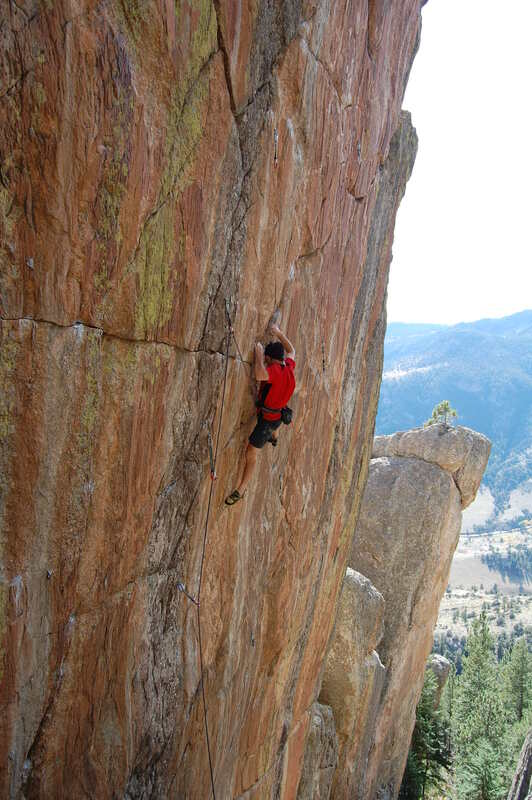 The style of route and the climber’s tastes are critical to their perception of a route’s difficulty. The bottom line is, any time you find a sequence that is hard for you, take it as an opportunity to improve, regardless of the grade. 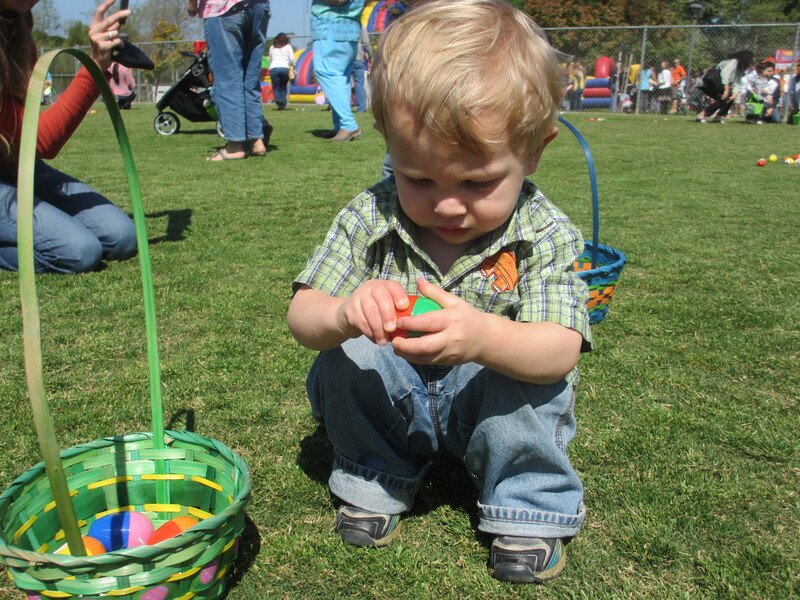 If you find something feels easy, enjoy it! The pendulum will swing back the other way soon enough. I’m off to Smith on Thursday, with pretty thick skin, decent footwork, and high confidence. I’ll be teaching a footwork clinic (8:30am at Redpoint Climber’s Supply) and giving a slideshow (8:30pm), both on Saturday April 20th. Come out and say hi if you’re in the area.